Canarian Legal Alliance would like to update you of another sentence received earlier this summer against Palm Oasis. 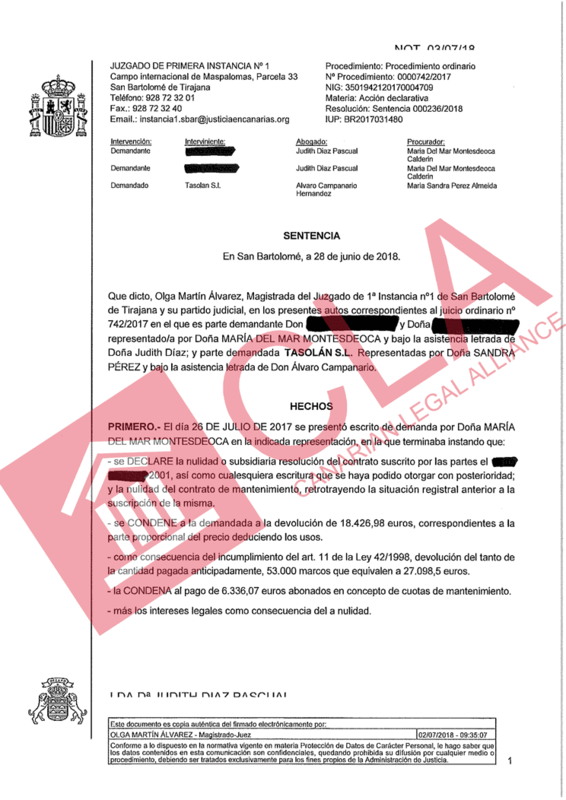 Our German clients’ contract was declared Null & Void by the First Instance Court in Maspalomas. The judge also ordered the resort to pay over 45,000€, being the purchase price, plus a sanction for taking a deposit from the clients during the ‘cooling off period’.